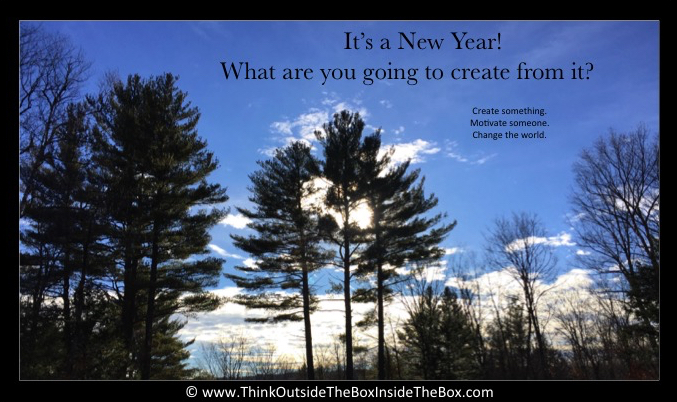 No matter what you set out to do this year—work, play, create, build, help, change—do it as you! Cut the crap. Cut the pretense. Cut the pretending. Cut the posturing. Step into all of who you are and love it! Don’t fall victim to fashion or trends or herd mentality or mean people who want to make you feel less than or put you down or tell you that you’ll never succeed because of who you are. Don’t fall victim to your own insecurities, fears, or doubts. Be loud and proud of your voice, your face, your body, your age, your ideas, your inventions, your work, and your creativity—they are your unique fingerprints to share with the world! It doesn’t matter if the world actually listens or watches or weighs in and deems you worthy and that you matter. If you matter to you, that’s all that matters.